Kitten vaccinations are essential to proper kitten care and should be started soon after you get your kitten. The average age to get a kitten is 6 weeks. This is when we recommend bringing your new kitten for the first exam. During this visit, the veterinarian will discuss the best vaccination program for your kitten, and we can help you formulate a long term plan for the rest of the cat's adult life. Kitten vaccinations are given to prevent feline leukemia, rabies and distemper. These infectious diseases are devastating and completely preventable with simple vaccinations. 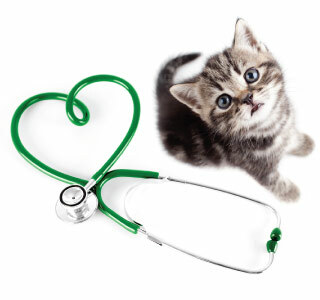 Schedule A Kitten Care Appointment With 4 Paws Veterinary Care Today! At 4 Paws Veterinary Care, kitten care is one of our greatest joys. Our veterinary staff would be delighted to spend some time with you and your kitten ensuring that your relationship will be a healthy, happy and rewarding one for many years to come. Schedule your first kitten care appointment today!